This spring we ran a contest where people had the chance to win 4 FREE TIRES from Northside Toyota. They simply had to request a quote from our parts department and they were automatically entered to win. Upon the close of the contest, we randomly selected one of the eligible entries and the lucky winner was one of our very own customers. 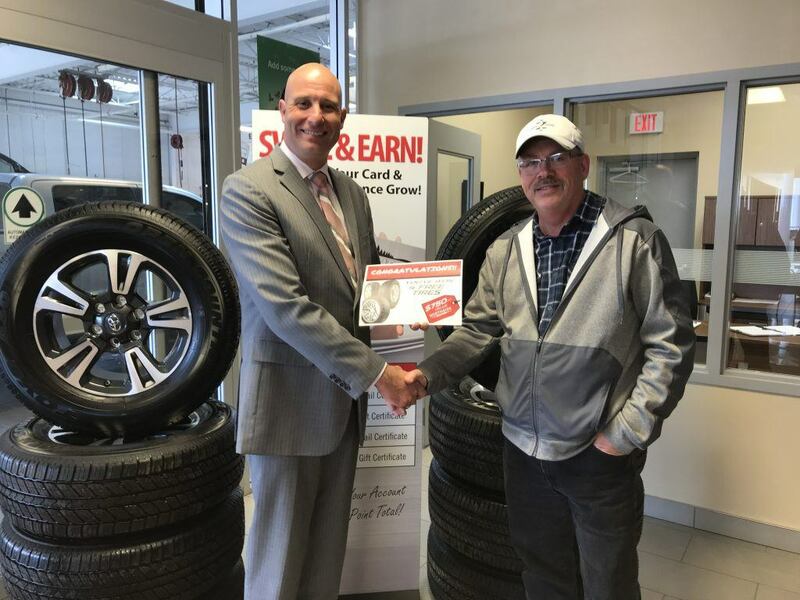 Mr. Pringle stopped by the dealership last week where we presented his prize of 4 FREE Tires (Value of $750.00). Thank you to everyone who submitted a quote request and congratulations to the Pringles on winning this fantastic prize. Stay tuned for future contest opportunities on our contest page.